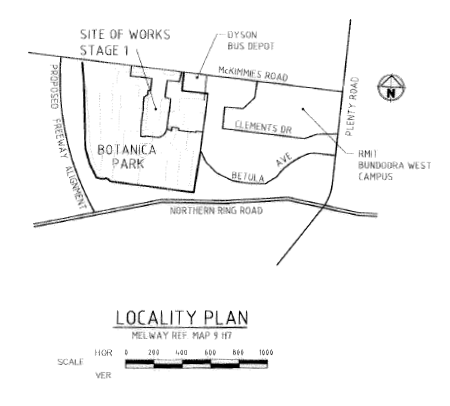 A locality plan is a small map typically included on the front sheet of a set of civil engineering drawings showing the location of the works to be carried out. Locality plans based on google maps are included on most pages about municipalities on this site, e.g. Whittlesea City Council.